The SRS warning light is located on the combination meter assembly. When the SRS is normal, the SRS warning light comes on for approximately 6 seconds after the ignition switch is turned from off to ON, and then goes off automatically. If there is a malfunction in the SRS, the SRS warning light comes on to inform the driver of a problem. When terminals TC and CG of the DLC3 are connected, the DTC is displayed by blinking of the SRS warning light. The SRS is equipped with a voltage-increase circuit (DC-DC converter) in the center airbag sensor assembly in case the source voltage drops. When the battery voltage drops, the voltage-increase circuit (DC-DC converter) functions to increase the voltage of the SRS to normal voltage. 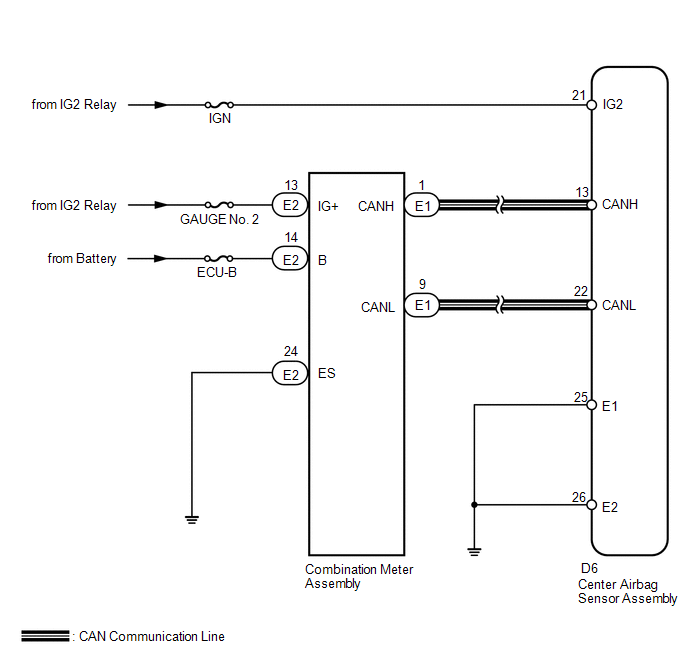 A malfunction in this circuit is not recorded in the center airbag sensor assembly. The SRS warning light automatically goes off when the source voltage returns to normal. The signal to illuminate the SRS warning light is transmitted from the center airbag sensor assembly to the combination meter assembly through the CAN communication system and multiplex communication system. (a) Measure the voltage of the battery. (c) Check that the connector is properly connected to the combination meter assembly. The connector is properly connected. If the connector is not connected securely, reconnect the connector and proceed to the next inspection. (d) Disconnect the connector from the combination meter assembly. (e) Check that the terminal of the connector is not damaged. The terminal is not deformed or damaged. (a) Disconnect the cable from the negative (-) battery terminal, and wait for at least 90 seconds. (b) Connect the connector to the combination meter assembly. 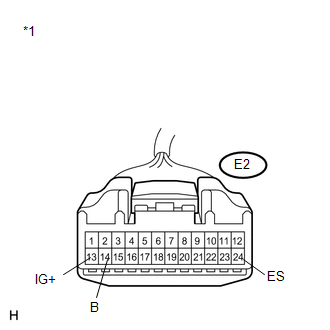 (c) Disconnect the connector from the center airbag sensor assembly. (f) Check the SRS warning light condition. After the primary check period, the SRS warning light goes off for approximately 10 seconds and remains on. The primary check period is approximately 6 seconds after the ignition switch is turned to ON.